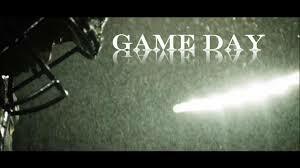 Gameday - SR High Football @ Home vs Corning 7 PM. Go Bearkatz! School will be closed Monday, for Labor Day. MHS will be hosting a cross country meet on Tuesday, September 5 after school. At this time, we have 24 schools attending. Teams could start arriving as early as 2:30 pm. Please be patient with the incoming traffic, and be watchful of the added student/athletes that afternoon. Safety first.